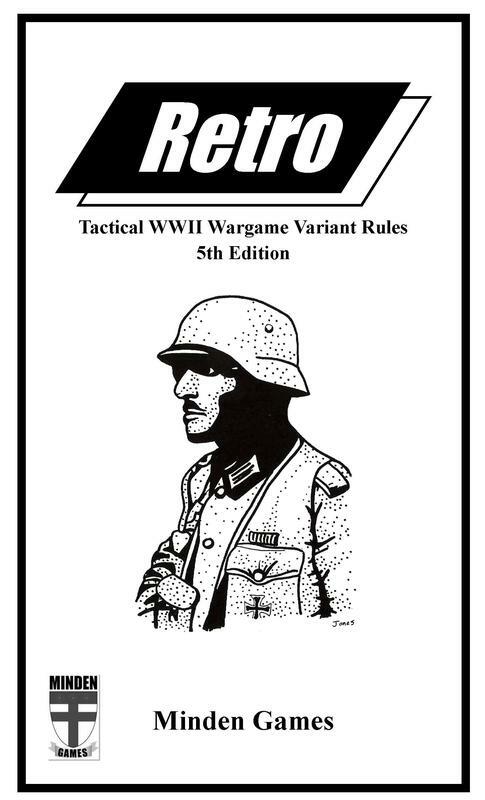 Retro, 5th edition is a tactical, squad-level World War II combat variant rules set contained in a 56-page book. Its goal is to provide players--experienced and inexperienced alike--with simplified rules to enable them to play and enjoy tactical wargames and modules without having to master hundreds of pages of rules and a steep learning curve. 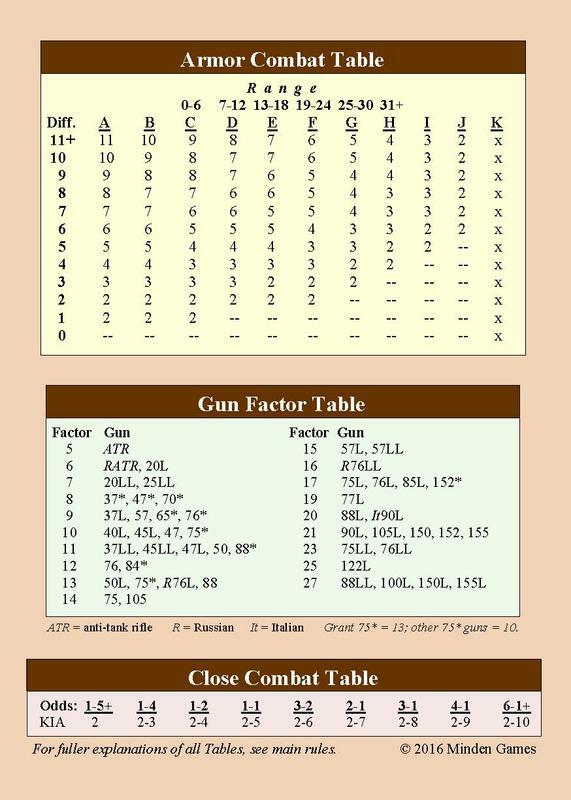 You must own the necessary components (counters and mapsheets) of the "host" game to utilize Retro. 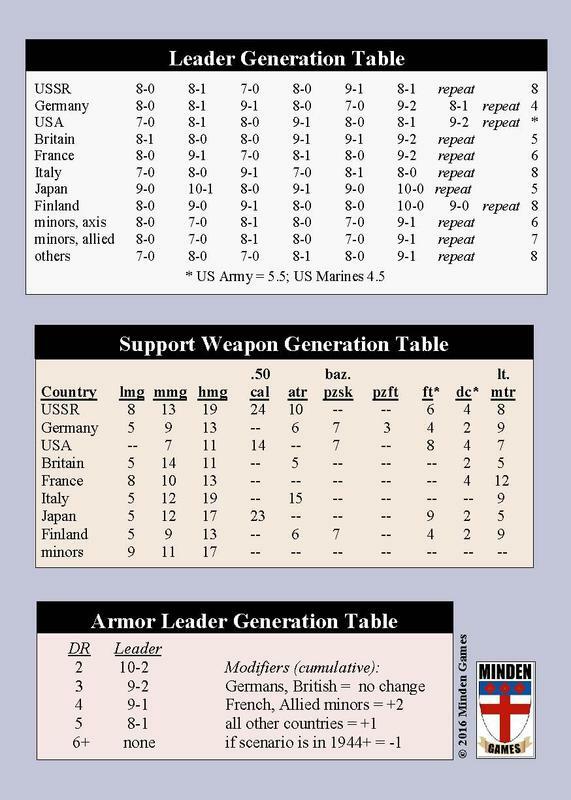 The variant was originally written as a variant for Avalon Hill's Squad Leader and its modules. This edition continues that tradition, and presumes this game to be the host system, even though gamers have used Retro with other tactical World War II games from various publishers. Retro covers the various nationalities and theaters of the war, but using a greatly simplified sequence of play. This shortened, "I go/You go" sequence utilizing the "Hesitation" rule, and a new Infantry Fire Table which makes morale checks unnecessary are the biggest modifications to the standard game, although streamlining and simplification has also been applied to a myriad of details, including those for AFV and vehicular combat. To quote the variant's Introduction, Retro is not for the gamer who thinks "more is better" when it comes to chrome and realism and process, but is offered to those who think that "less is acceptable" and even preferable, in the name of straightforward playability. 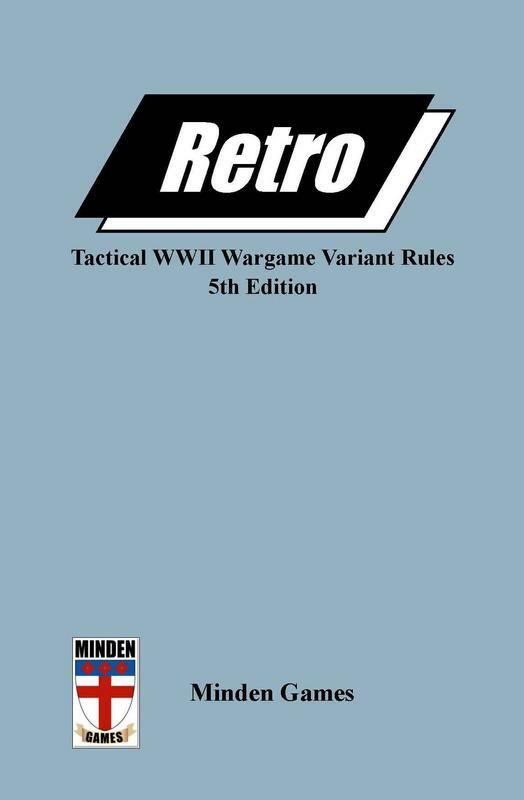 Retro, 5th edition consists of a 56-page rule book, containing all standard, advanced, and optional rules, eleven scenarios, two double-sided Reference cards, and instructions for creating design-your-own scenarios. The standard rules from the 36-page 4th edition (2012) are unchanged, apart from some verbal smoothing and explication. The 5th edition adds twenty pages, and includes more optional rules and scenarios. New rules cover FIRE (starting and spreading), MINEFIELDS, a new HESITATION OPTION, PARATROOP DROPS, NATIONAL TROOP CHARACTERISTICS, CAPTURED ENEMY SW, new designer notes, and more. It has been published in soft cover book format, with color Reference Cards, and looks sharp. Retro fans will be pleased with what the new edition provides! "I already own Retro 4th ed. ; will I benefit from getting the new edition?" will really be delighted with what this brand new 5th edition contains! Retro 5th ed. is now available via Amazon, and select resellers. This will be of particular interest to our overseas customers. It is more inexpensive to order via Amazon, because of postage costs. Please note that orders through Amazon and resellers will be for the book alone; no Reference Cards are included (it is not possible to include them via these purchases). The book contains the full Retro game system within the pages of the book. 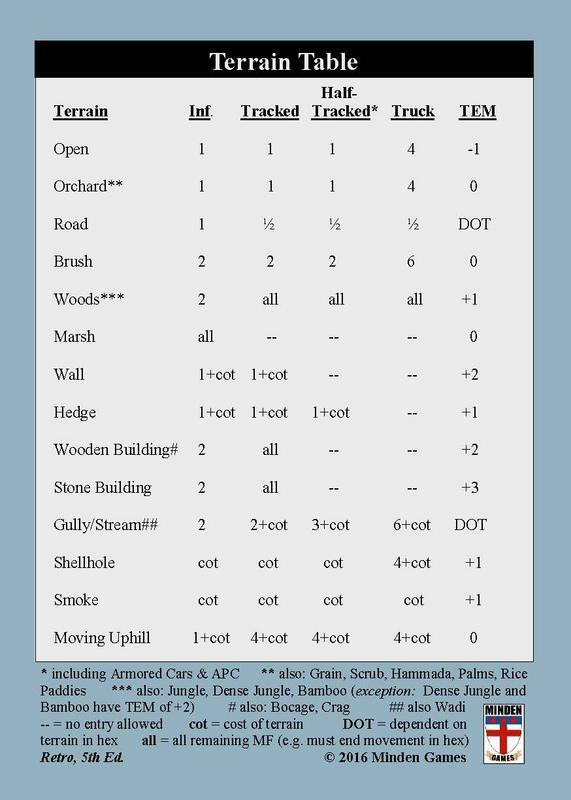 You may order Reference Cards separately (visit the AMAZON page for details). Click here for a review of Retro 4th ed. on Boardgame Geek. Link to Solitaire Retro 1.1 rules (free) on Boardgame Geek. Click on icon to view sample pages.